e-Spirit’s digital experience platform, accessible through on-premise or SaaS model, empowers companies to captivate customers and drive revenue with bespoke, content-rich digital experiences anywhere, anytime. Convert Shoppers with FirstSpirit Digital Experience Platform! Supply of quality content, delivered in a fast and scalable manner, to create a great customer experience. Faster updating of the user experience (UX) at the front-end without changing the underlying CMS or commerce application. Deep integration between CMS and leading enterprise commerce platforms like Salesforce, SAP, IBM, and others. 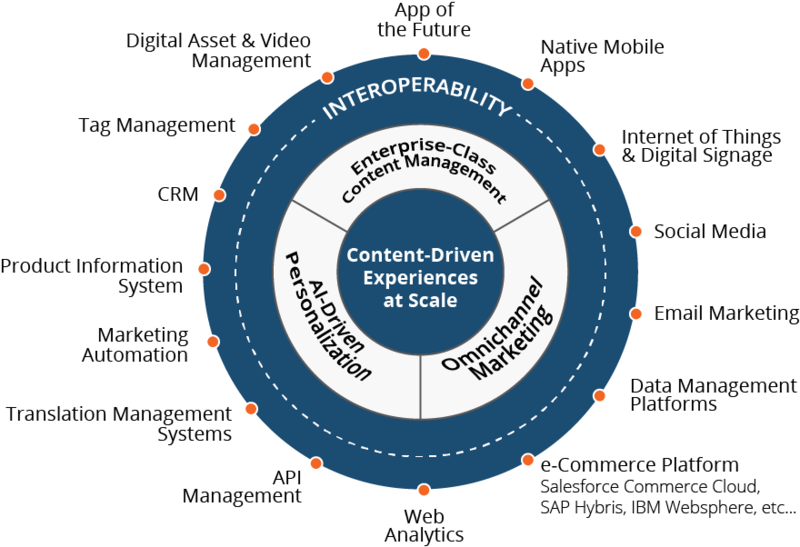 CaaS unlocks new content-driven business models, empowering companies to monetize content in exceptional ways. Provide content to any ‘thing’ in the Internet of Things. It lets business partners, resellers or other third parties tweak high-quality content to their digital store or marketplace and drive revenue on all channels. Progressive Web Apps, or any other type of front-end devices or applications— digital signs, interactive voice devices, wearables, or other types of IoT devices—can be used interchangeably or in a synchronous manner within a headless CMS and Commerce scenario with no disruption of back-end applications. With changing digital channels and tools comes infrastructure complexity that even well-organized IT departments have trouble managing with. As the volume of content, data, touchpoints and digital marketing technologies explodes, CaaS makes managing your omnichannel digital strategy very simple.